All the masks have ribbons to be worn. Blue and Gold Face authentic venetian mask in papier mache. Handcrafted according to the original Venice carnival tradition. Manifactured in Venice by the famous venetian masters. Each item is provided with certificate of authenticity. Pierrot Authentic venetian mask in papier mache. Handcrafted according to the original Venice carnival tradition. Manifactured in Venice by the famous venetian masters. Each item is provided with certificate of authenticity. Black & Red Checked Face Authentic venetian mask in papier mache. Handcrafted according to the original Venice carnival tradition. Manifactured in Venice by the famous venetian masters. Each item is provided with certificate of authenticity. La Belle Otero Ready To Ship! 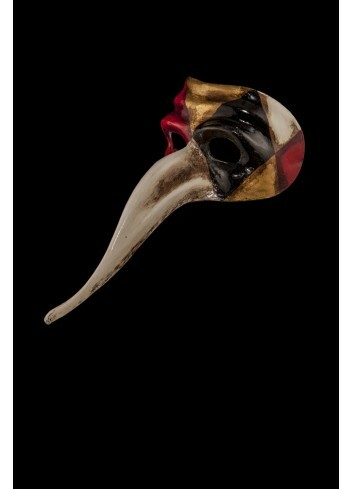 Penelope Black authentic venetian mask in papier mache with metal decoration. Handcrafted according to the original Venice carnival tradition. Manufactured in Venice by the famous venetian masters. Each item is provided with certificate of authenticity. White Capricornus Ready To Ship! White Capricornus venetian mask in papier mache. Handcrafted according to the original Venice carnival tradition. Manifactured in Venice by the famous venetian masters. Each item is provided with certificate of authenticity. 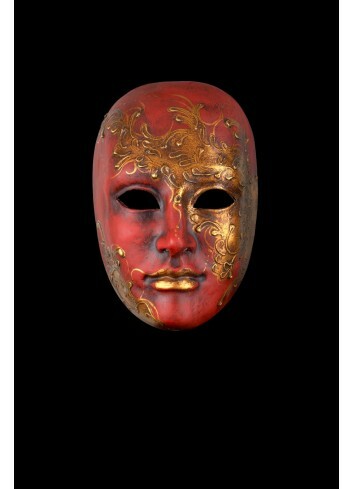 Red Devil authentic venetian mask in papier mache. Handcrafted according to the original Venice carnival tradition. Manifactured in Venice by the famous venetian masters. Each item is provided with certificate of authenticity. Hockey Horror Mask Ready To Ship! Hockey Horror Mask authentic venetian mask in papier mache. Handcrafted according to the original Venice carnival tradition. Manifactured in Venice by the famous venetian masters. Each item is provided with certificate of authenticity. The Satyr authentic venetian mask in paper mache. This item is strictly handcrafted in Venice, Italy by the famous artists of the city according to the carnival tradition. Each item comes with certificate of authenticity. Mouse Mask authentic venetian mask in paper mache. This item is strictly handcrafted in Venice, Italy by the famous artists of the city according to the carnival tradition. Each item comes with certificate of authenticity. Cellini's Medusa Gold Ready To Ship! Cellini's Medusa Gold authentic venetian mask in paper mache. This item is strictly handcrafted in Venice, Italy by the famous artists of the city according to the carnival tradition. Each item comes with certificate of authenticity. Cellini's Medusa Ready To Ship! Cellini's Medusa authentic venetian mask in paper mache. This item is strictly handcrafted in Venice, Italy by the famous artists of the city according to the carnival tradition. Each item comes with certificate of authenticity.